The first two of the major fall film festivals are either finished or well underway, which means that many of the year’s top Oscar contenders have now been screened for festivalgoers in Venice and Telluride. But with the biggest of the three, the Toronto International Film Festival, launching on Thursday, the awards-season stakes are still extremely high for a large number of films. Some need to reinforce the posiive first impressions they generated on the Lido or in the mountains. Others need to overcome shaky debuts. Still others need to answer specific questions about categories, actors of whether awards voters will accept horror or fantasy films. It’s worth mentioning at this point that the Toronto audience can’t make or break a movie’s Oscar chances — that comes when Academy members actually begin to see the film in sizeable numbers. But TIFF provides the biggest, broadest audience of the fall festivals, and the largest contingent of international press; its approval can be key. Alexander Payne’s film is part comedy, part sci-fi tale, part social commentary saga of a man who shrinks himself to five inches tall to better survive in a world of disappearing resources. When it opened the Venice festival, it won rave reviews and was acclaimed as an instant Oscar contender. But when it played two days later in the mountains of Colorado, a festival at which Payne is a favored son, the reception was far more divided, with nearly as many skeptics as fans. The Toronto berth could tip the scales in one direction or another, bolstering its awards credentials with a rousing reception and hurting them with a lukewarm one. 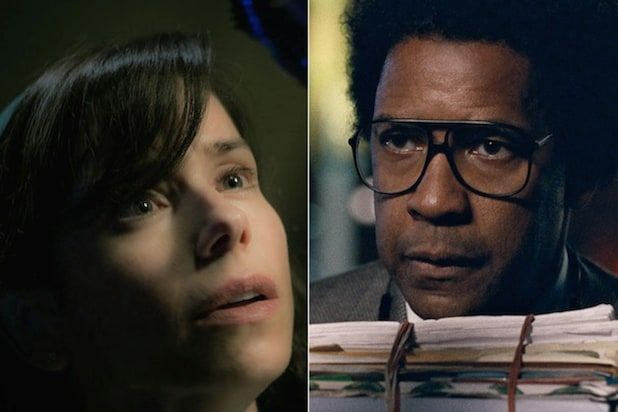 Guillermo del Toro’s fantasy also won raves in Venice, with most viewers acclaiming it as his best film since the Oscar-winning “Pan’s Labyrinth.” But will voters embrace a romance of sorts between a lonely mute woman (Sally Hawkins, recipient of countless raves) and a merman? TIFF could suggest an answer. If there’s a movie that seems tailor-made for the older, more conservative Academy members, it might be Joe Wright’s tale of Winston Churchill in the days leading up to World War II, with a performance that most viewers think makes Gary Oldman the Best Actor front-runner. But with the Academy’s membership growing and changing dramatically, the film likely can’t win by relying just on older members. It needs to be an across-the-board success. It‘s been a long time since directors Jonathan Dayton and Valerie Faris were in the Oscar conversation with 2006’s “Little Miss Sunshine,” but the initial reaction to their tale of the epic tennis exhibitition between Billie Jean King and Bobby Riggs suggests that they (and their stars) could be contenders — unless the film is seen as too light. Nobody will think Angelina Jolie’s drama set in Cambodia during the murderous Khmer Rouge regime is too light — the question is whether its grueling violence will be off-putting, or whether the uncompromising toughness will impress voters enough to make it the rare foreign-language film to become a Best Picture nominee. Related questions: Will Cambodia submit it in the Oscar foreign-language race? And if it does, will the Academy accept a movie made by an American-born director (who also has Cambodian citizenship) as a Cambodian film? Dan Gilroy’s drama with Denzel Washington was the final film added to the TIFF lineup — an 11th-hour move that suggests that Sony is high on its chances to make a splash at awards season’s biggest kickoff event. Gilroy’s first directorial effort, “Nightcrawler,” was brilliant but a little too tough and twisted for voters, but his second could be a player if it has a successful TIFF launch. Greta Gerwig has yet to receive an Oscar nomination, which is something of an injustice considering the performances she’s given in films like “Frances Ha” and “20th Century Women.” Judging from the Telluride buzz for her directorial debut, in which Saoirse Ronan plays a disaffected teen from Sacramento, she might have a real shot at being recognized on the other side of the camera. Why put these two films together? Because both are far outside the Academy’s usual comfort zone: the former by all reports a hugely over-the-top horror extravaganza from Darren Aronofsky, the latter a blackly humorous but very violent mid-American tale from Irish playwright Martin McDonagh. Both seem awfully bloody and extreme for AMPAS, “mother!” perhaps more than “Three Billboards,” but a couple of raucous TIFF receptions could point the way for a more open-minded Academy. The last time director Stephen Frears teamed up with Dame Judi Dench, the result was “Philomena,” which landed Oscar nominations for Dench and for Best Picture. This lush period piece, in which Dench plays an aging Queen Victoria who scandalizes her court by befriending a young Indian man, is another potential pick of old-school Academy members. Everybody at the previous festivals assumed this drama will get some attention for Annette Bening’s performance as the old-Hollywood star Gloria Grahame, but not much more than that. Ever since Sundance, Luca Guadagnino’s rapturous romance “Call Me By Your Name” has drawn devotees who insist it’s a strong Best Picture candidate, and Dee Rees’ “Mudbound” has done the same. They could both use a strong Toronto showing to start the transition into awards season. Since the Academy’s Actors Branch apparently won’t ever accept that Andy Serkis’ brilliant motion-capture performances are awards-worthy acting, will they accept this period-piece drama about man (Andrew Garfield) who turned his disability into opportunity? The question here isn’t whether Scott Cooper’s dark Western is awards-worthy — the consensus out of Telluride is that it is, and most notably Christian Bale’s lead performance as a solider reluctantly leading a Native American family to their tribal lands. But the film is looking for distribution, so in a tough market for indies, can it find a distributor willing to buy it and also schedule a 2017 release to qualify it this year? Or will it have to wait for next year’s race? George Clooney’s 1950s drama has some damage control to do. 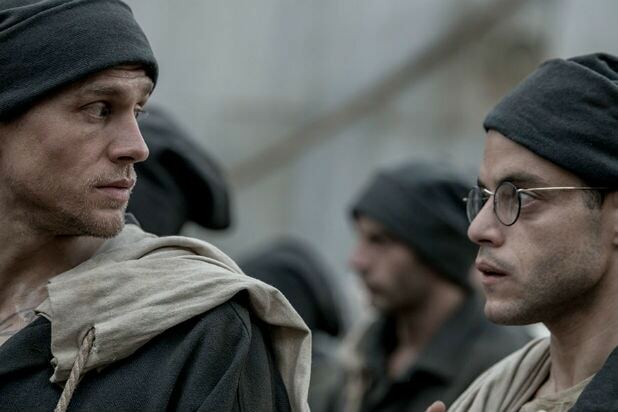 The film, which stars Matt Damon and was based on a true story of racially motivated violence in a well-groomed suburb, was not particularly well-received in Venice. In the more welcoming screening rooms in Toronto, it will need to begin to turn around that negative launch — although, to be fair, the film (like Clooney’s last, “Monuments Men”) has never really been positioned by Paramount as an awards play. Jessica Chastain seems to have this problem every couple of years: Which performance should get the awards heat? She had “Interstellar” and “A Most Violent Year” in 2014, and most memorably six different movies, including “The Tree of Life,” “Take Shelter” and “The Help,” in her breakthrough 2011. She’s already appeared in “The Zookeeper’s Wife” this year, but her two biggest awards shots are premiering at TIFF: Aaron Sorkin’s “Molly’s Game,” in which she plays the real-life woman who ran an underground, star-studded poker game for years, and Susanna White’s “Woman Walks Ahead,” the story of a woman who became one of Sitting Bull’s chief confidantes. It may not be fair to play them against each other, but one will likely emerge with more awards heat. Directors Paolo Virzi, Hany Abu-Assad, Deniz Gamze Erguven and Haifaa al Mansour are more acquainted with the Oscar foreign-language race than any other categories: Abu-Assad was nominated for “Paradise Now” and “Omar” and Erguven for “Mustang,” while Virzi and al Mansour were in contention with the well liked “Human Capital” and “Wadjda,” respectively. Now they’re all at TIFF with English-language films featuring movie stars: Virzi with the Donald Sutherland/Helen Mirren road trip “The Leisure Seeker,” Abu-Assad with the Kate Winslet/Idris Elba survival story “The Mountain Between Us,” Erguven with the L.A. riots film “Kings,” with Halle Berry and Daniel Craig, and al Mansour with “Mary Shelley,” a drama starring Elle Fanning as “Frankenstein” author Mary Shelley. The last film about the Boston Marathon bombing, “Patriots Day,” meant a lot to its star and producer, Bostonian Mark Wahlberg, but didn’t register with awards voters. This one, directed by David Gordon Green, has the advantage of past nominee Jake Gyllenhaal in the lead. When the French comedy “The Intouchables” failed to make it past the shortlist in the Oscar foreign category in 2013, some awards-watchers were surprised that the crowd-pleasing film didn’t make the cut. If the American remake, directed by Neil Burger and starring Bryan Cranston and Kevin Hart, doesn’t make the awards conversation, it’ll hardly come as a shock. (The Weinstein Company recently bumped its release to March 9.) But if it’s great, who knows? Maybe this isn’t really a movie with too much at stake at TIFF, because the festival’s opening-night attractions are typically non-starters when it comes to the Oscars. (Anybody remember “Score! A Hockey Musical?”) And while Shia LaBeouf as John McEnroe exerts a certain twisted fascination, the main question here might be whether we have a decent movie on our hands or a real Razzie contender.